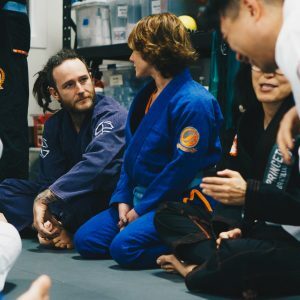 Members of Princeton BJJ converse before training. “Tribe” focuses, for the most part, on the state of the American armed service member returning from war, and how that experience is so far removed from what our ancient ancestors experienced. Yes, war has changed in its scope and severity since we remsacked the neighbor’s cave thousands of years ago. But the big difference is, then, we had a cave to come home to. After the deed had been done, after we’d seen and been through atrocities, we had a community to welcome us back, and a sense of shared experience. The pain we felt was divided among the tribe. Who carries that weight now? We live in sprawling, empty houses on spacious lots. Most of us don’t even know who our neighbors are. The soldier comes home from war now, and who understands him? The police officer comes home from the 367th drug bust of the year, having seen half-starved babies living in a crack den, and whom does she have to confide in? For the most part, the genetic need we have for community is unmet. Society has all but obliterated the possibility of us receiving that kind of support outside of a group therapy session ever again. 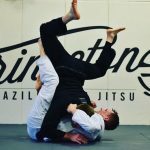 But we do have Jiu Jitsu. 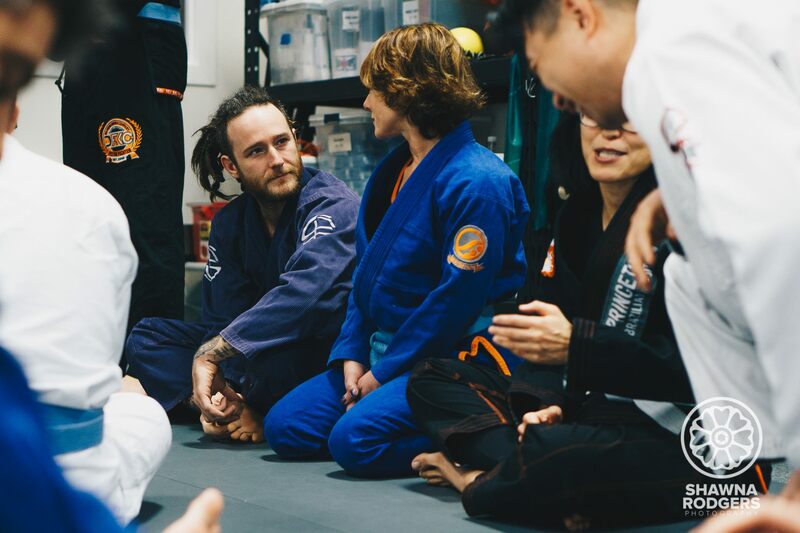 We have brothers and sisters on the mat who force themselves to confront fears of all scales on a nightly basis. 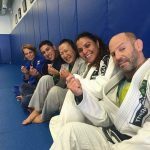 We have a family that copes with force and violence every time they willingly put on a gi or a rash guard. We share the same values. We have a common appreciation of growth through undergoing adversity. But most important, we have an unspoken understanding. We each bring our own burden to the mat. But that burden diminishes as it’s reduced to sweat.